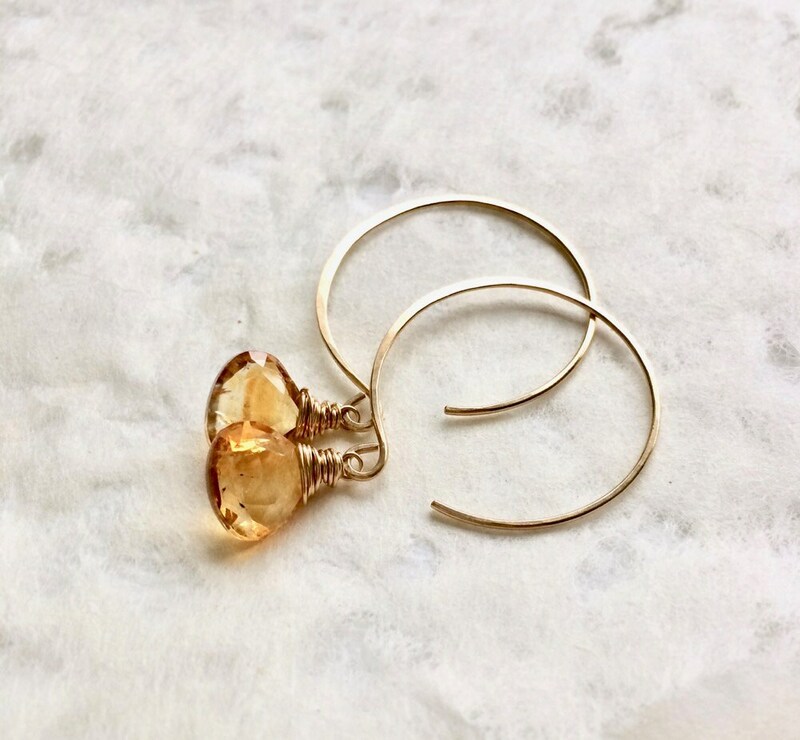 Citrine gemstone drop earrings. 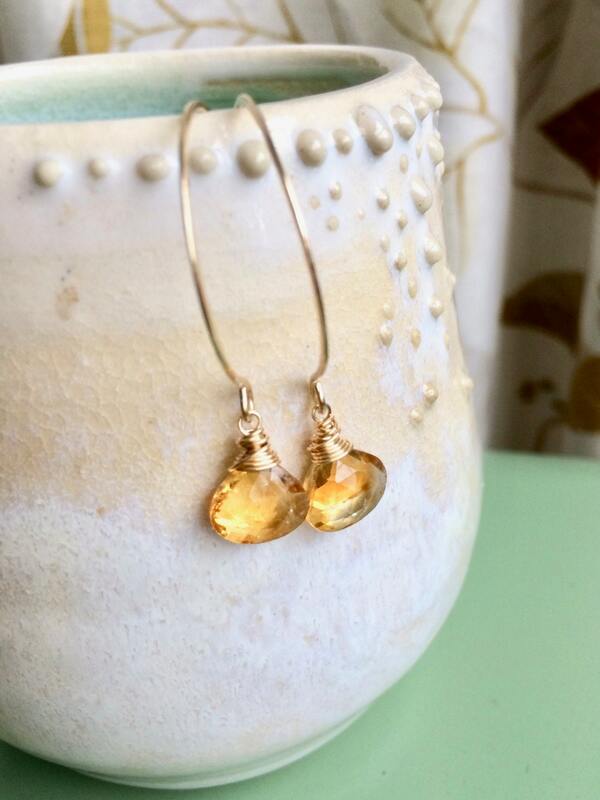 The citrine briolettes are wire wrapped onto french ear wires handmade by me. 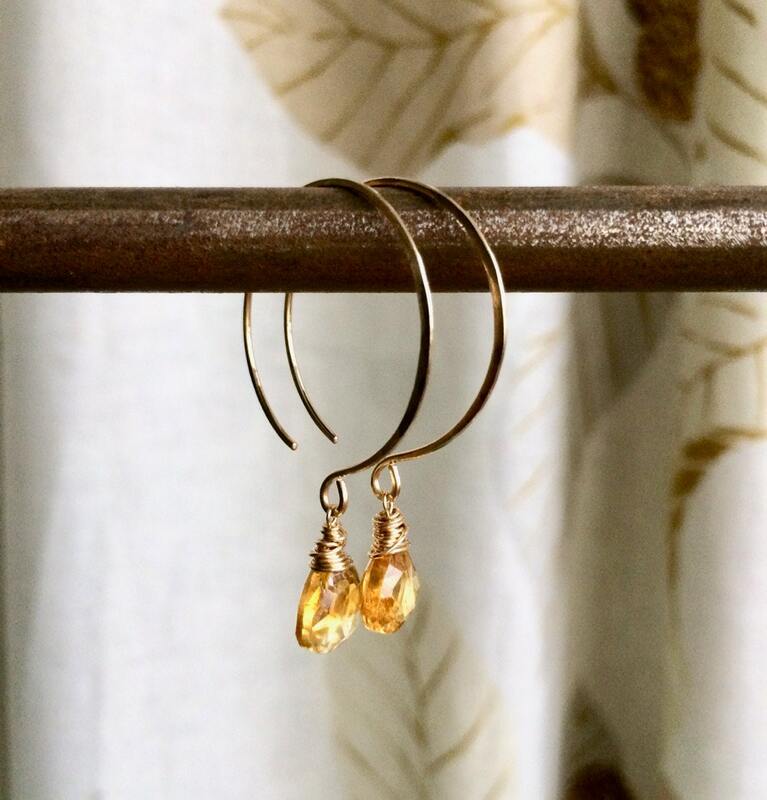 14K gold-filled ear wires are 1" in diameter. 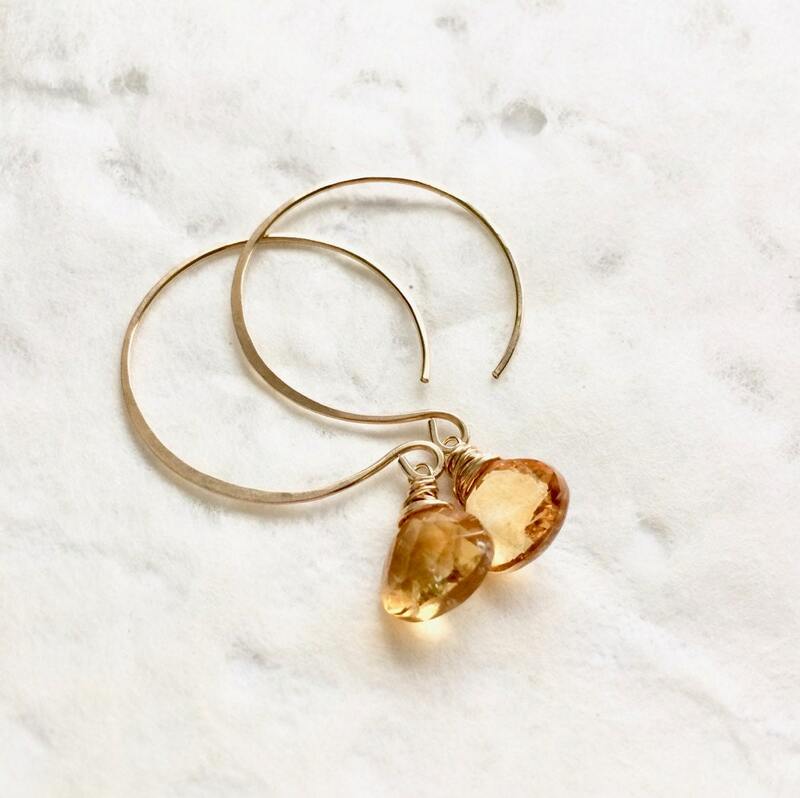 Citrine stone is approximately 9mm.